A perfect replacement of leather sheaths that will make your khukuri/knife a superior knife - a very worthy tool for you indeed..
Dear Buyers / Visitors, With this announcement we take this opportunity to introduce one of our latest additions, the “Kydex Sheath”, which is added to our online catalog on request by our customers and well wishers, and also after good survey by KHHI. 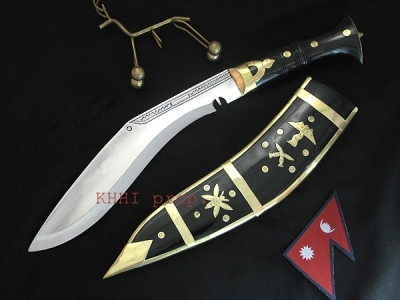 A very high demand of Kydex sheath due to its superb quality and amazing benefits, we believe, will make your khukuri/knife much more better, effective and a superior knife - a very worthy tool for you indeed. Kydex is a line of thermoplastic acrylic-polyvinyl chloride (PVC) material. It combines properties of both acrylic and PVC therefore it obtains rigidity, formability, toughness, chemical resistance, good interior and is completely water resistant. It is a perfect replacement of leather sheaths as it is lighter, cheaper, durable, holds better and also compatible to various armies’ wears and kits. It is scratch resistant and holds its shape better at the same time. 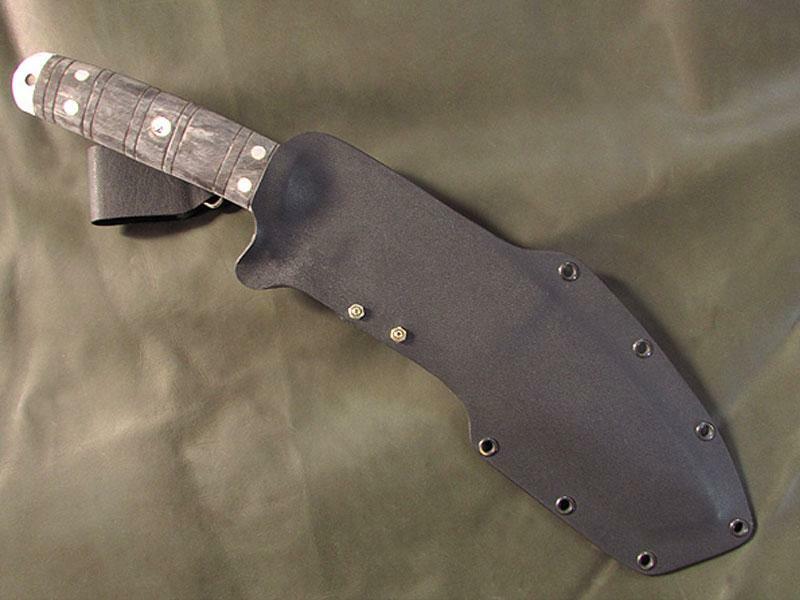 The Kydex sheath offered here is made from imported Kydex sheet all the way from USA having a thickness of 0.06”. It is made in such a way that it can be worn both – Horizontally and Vertically. Not only that, the carrying positions can also be adjusted (Knot-bolt system) as required and as comfortably as possible from High to Low positions from the waist level. The belt holder is completely detachable and can be fixed to anywhere within the Kydex panel for more preferred position by the carrier/user in his body. 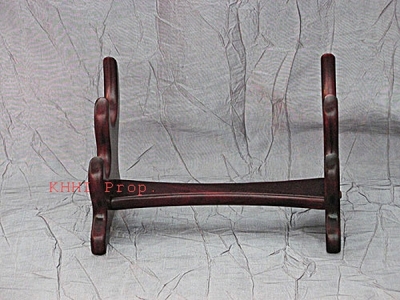 The use of “D” ring also facilitates the carriage splendidly. The sheath’s unique shape and its manufacturing technique make the knife very easy to draw in and draw out. This sheath is very strong, safe and very easy to operate.